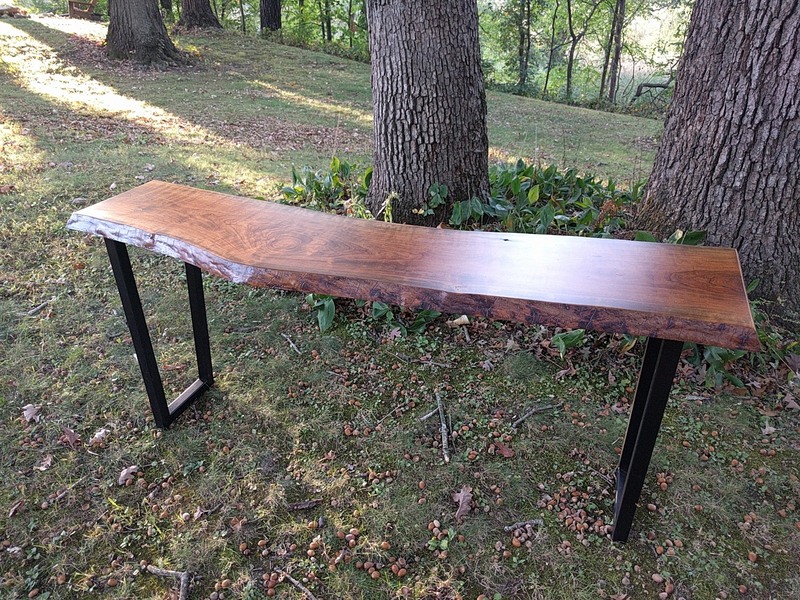 Share Your Urban Wood Success Stories, Photos, Videos, etc. 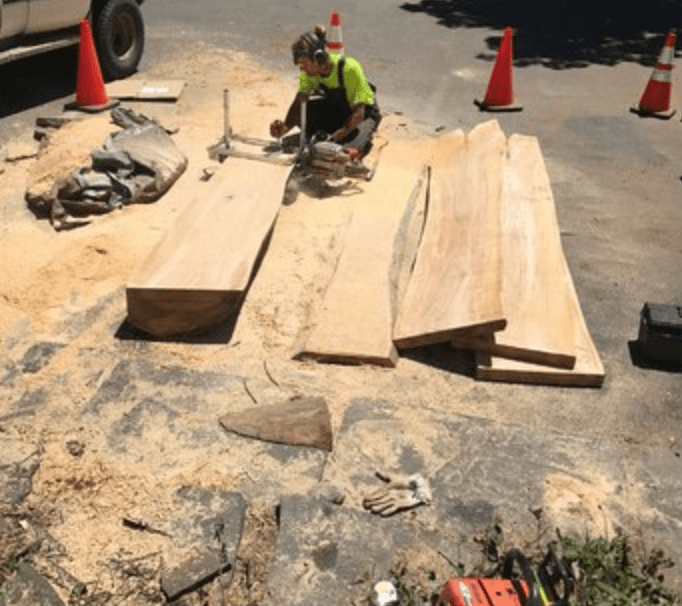 A lot of the best news and events items, blogs and videos about urban wood posted on this website were submitted by sawyers, woodworkers and others who are proud to share their success stories. And we’re more than pleased to do so! There are as many potential story lines as there are urban trees. If you have one to share, we’d love to hear it. Simply send a photo or two and a short write up – even a few bullet points – about the tree and how and why it was transformed into something of value for its second life. 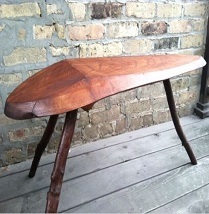 We’ll do the rest and share your story with our audience on the IL WUT website and monthly Illinois Urban Wood newsletter. Direct your urban tree news, events, videos, etc. 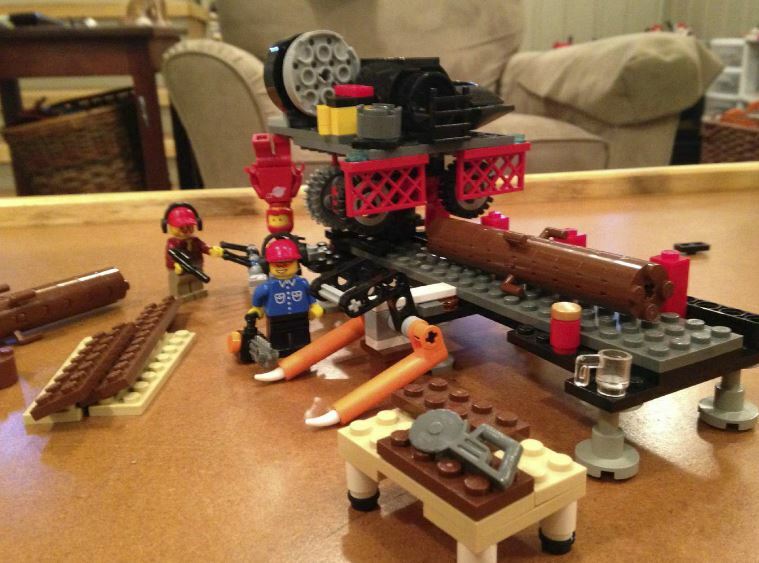 to Rich Christianson at richc.illinoisurbanwood@gmail.com. 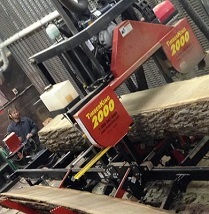 Dovetail Partners Inc. of Minneapolis is a leader in helping advance forest and wood products sustainability programs, including many tied to the urban wood movement. 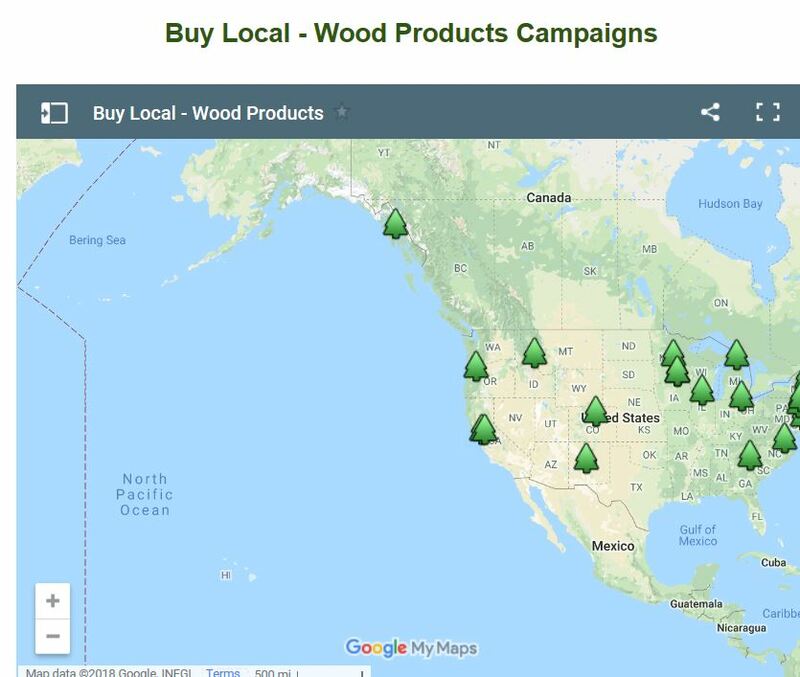 The non-profit’s website includes an interactive map highlighting “Buy Local – Wood Products Campaigns” located throughout the U.S. and Canada that focus on informing consumers of the environmental benefits and aesthetic beauty of buying wood products that are grown and produced locally. Each site marker lists the campaign’s name, its parent program or organization, and a link to its website. Dovetail Partners welcomes qualified company’s and organizations to request to be included on the map. Contact Dovetail Partners at info@dovetailinc.org. The October 2017 issue of Tree Services magazine featured an article on managing urban tree waste. 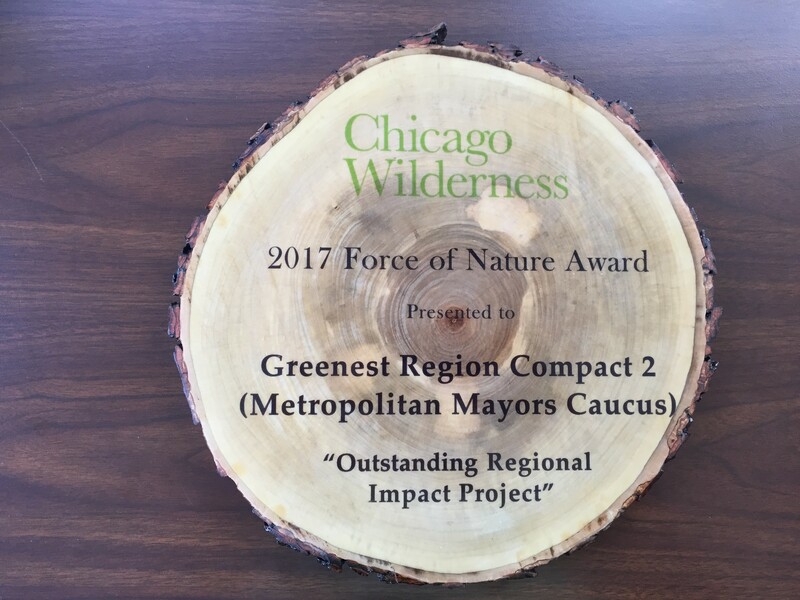 Close up one of the 2017 Force of Nature Award plaques designed and crafted by Ron McNaughton, foreman of Cook County Forest Preserves sign shop. Edith Makra of the Metropolitan Mayors Caucus, left, with Hawthorn Woods Mayor Joseph Mancino, accepting a Force of Nature Award, and Deb Kutska of Oakton Community College. 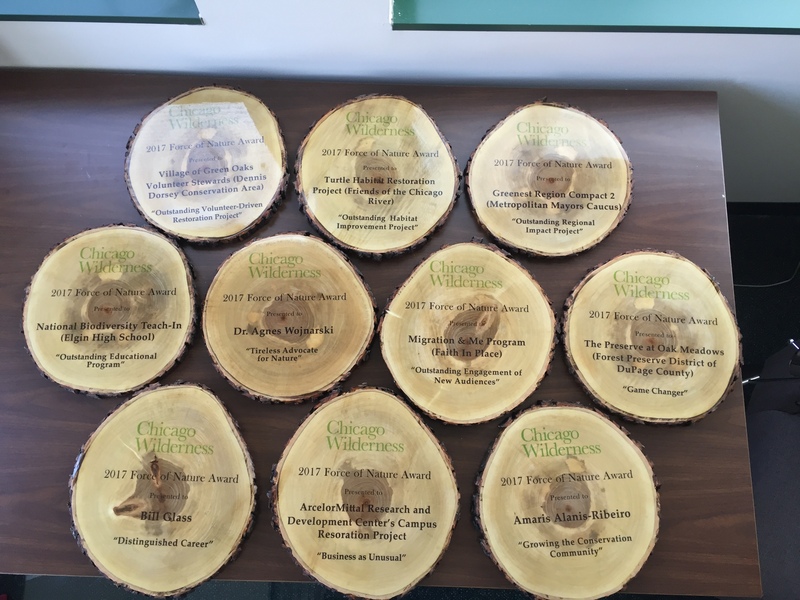 Chicago Wilderness awarded tree ‘cookie’ plaques to individuals and organizations for their environmental contributions. In July 2017, Chicago Wilderness presented its first-ever Force of Nature Awards to 10 people and organizations doing outstanding work on behalf of the environment across the region. The physical awards given to the recipients were as unique and special as the awardees themselves and a remarkable example of wood reutilization. Each award plaque is a large “tree cookie” with the bark left around the outer edge. The tree came from a Forest Preserves of Cook County site. Forest Preserves of Cook County sign shop foreman Roy McNaughton designed and created them by hand. Each is about the size of a large dinner plate: roughly 12 inches in diameter and approximately 1.5 inches thick. Each award is unique in shape, color and wood grain. McNaughton began the transformation by using a belt sander to smooth the rough, chainsaw-cut organic surface of each cookie. Since both sides would display text for the final awards, McNaughton said they required multiple passes with various grits of sand paper to create a smooth surface. He then sealed the wood with numerous coats of clear urethane. The Chicago Wilderness logo and text were printed on a clear vinyl laminate and an additional layer of clear gloss laminate was applied to seal and protect the text. The adhesive-backed graphics were carefully cut and transferred to each cookie. McNaughton estimated that it took him about 60 hours to create all 10 award plaques. The Forest Preserves of Cook County, one of the lead partners in the Chicago Wilderness alliance, generously donated the tree from which the cookies were cut plus Roy’s time, tools and labor to create the awards. 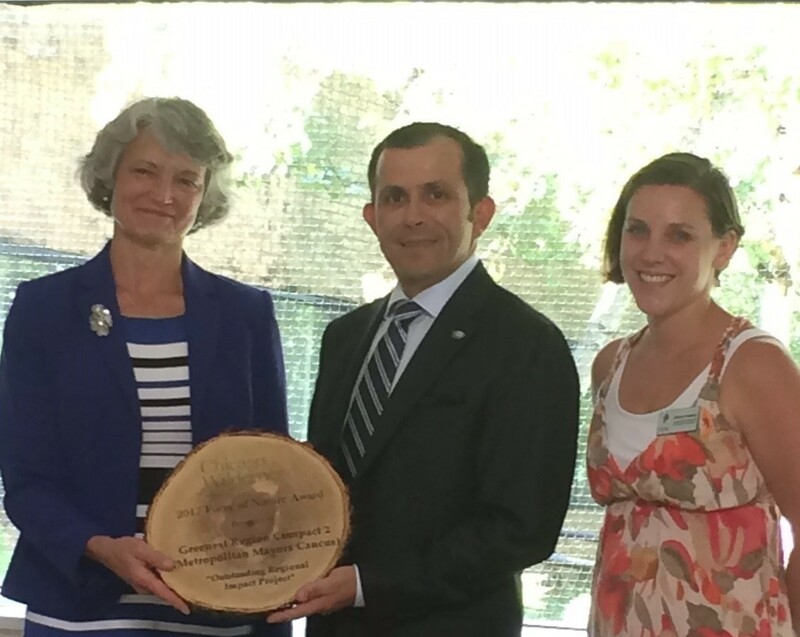 I had the pleasure to emcee the Chicago Wilderness awards ceremony at the Chicago Botanic Garden in July. Recipients were delighted with the tree cookie plaques and eager to display them at their respective organizations. 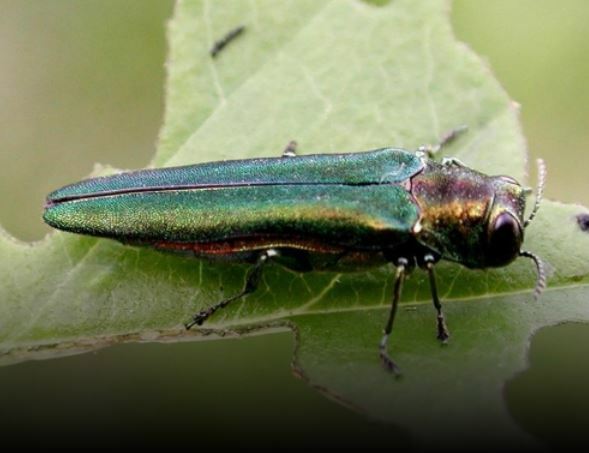 Learn more about Chicago Wilderness’ 2017 Force of Nature & Excellence in Ecological Restoration Program. Cherie LeBlanc Fisher works for the U.S. Forest Service Northern Research Station. 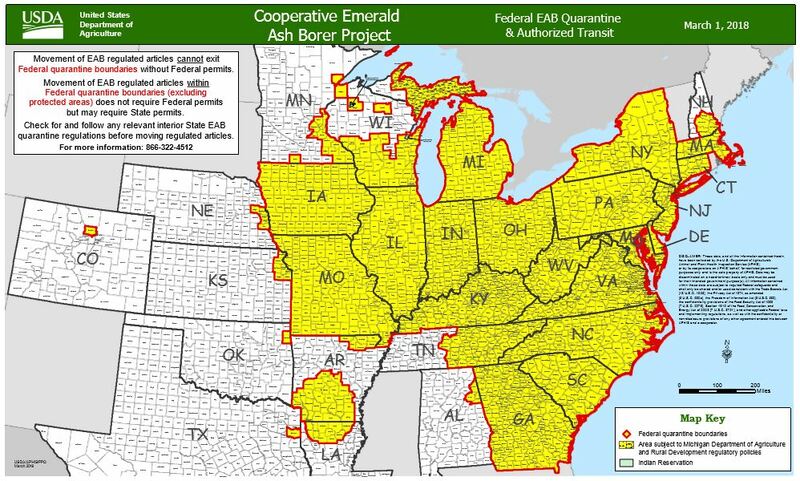 Her current projects include the Forest Service’s Urban Forest Inventory program to collect tree and land use data in the Chicago region. She also participates in the Chicago Region Tree’s Initiative’s Tree Stewardship and Planting Team.